If there was a way Stephen Dhillon could play in all 68 regular season games for the Niagara IceDogs, he wouldn’t hesitate to do it. Instead he’s had to settle for 111 over the last two seasons, and if you ask him, he’ll tell you he’s thrilled to be a player Niagara count on every weekend to stop pucks. But it’s not like that role came right to Dhillon’s doorstep. As a 16-year-old, Dhillon had the toughest job a goaltender can have. Sitting on the sidelines, watching everyone else have all the fun. “It was sort of a crazy year. We had a tough start and ended up trading for an overage goalie in Brandon Hope. Once he came I didn’t dress for another game,” Dhillon said of his rookie season. Dhillon played a grand total of just four games. After seeing 11 minutes of action against Sudbury on November 1st, 2014, Dhillon had to be a spectator the rest of the way. Marty Williamson was the coach of Niagara that season. One could understand how there might be some dissent from his young goaltender, but that’s not the way Dhillon approached the situation. Although he admits it was difficult at first, he always had tremendous respect for Williamson’s decisions. “[Marty Williamson] was great, he always encouraged me. He didn’t sugar coat anything. He wasn’t gonna make any promises he couldn’t keep,” said Dhillon. With Niagara being eliminated by Oshawa in the second round of the playoffs and Brandon Hope moving on to StFX university, playing time once again became available for Dhillon. Although he spent the majority of his time in the press box, Dhillon felt his rookie season still set him up for success in his sophomore year. Dhillon saw his workload increase to 24 games, starting the year as backup to Brent Moran. But Niagara once again made a move to bring in Alex Nedeljkovic for a deep playoff run. Dhillon had a much closer seat, but watched on nonetheless as the IceDogs made an appearance in the OHL Finals. By the start of 2016-17, Dhillon was the last goalie standing. With Hope, Moran, and Nedeljkovic all moving on, it was finally his time to shine. Once the opportunity became available, Dhillon made up for lost time. 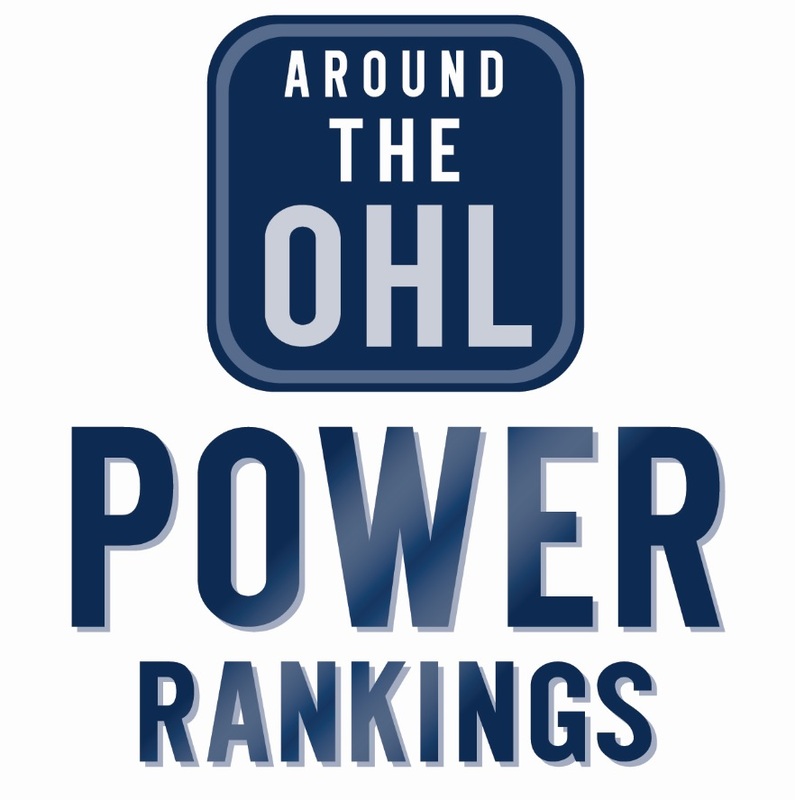 Tied for the OHL lead with 59 games, Dhillon saw 3,433 minutes in the crease. He faced a staggering 2,312 shots joining Steve Mason, Trevor Cann, and Philippe Trudeau as the only goalies to see 2,300+ shots in a season between 2006-07. Ever since he’s taken the starting job in Niagara, Dhillon has held on to it tightly with pride. He’s been counted on every week over the last two years, and will likely see another high workload in his overage season. Having seen the highs and lows of a restructuring Niagara team over that span, goalie coach Ryan Ludzik feels Dhillon is deserving of all the success he’s had, and all the success yet to come. The last two years have yielded all the playing time Dhillon could’ve possibly hoped for. But his time in Niagara hasn’t come without a few disappointments either. Having been passed over multiple times in the NHL Draft, and having attended five different rookie/training camps, Dhillon has yet to have an NHL affiliation. Even still, a large goalie with a great attitude and ability to be consistent, Ludzik believes Dhillon is the type of goalie NHL teams are looking for. “I absolutely think he fits the bill. I think it’s been a miss for a lot of teams with him not being drafted or signed. We have one more year here. It’s a big year, we’ve got a good team and we really have high hopes for Stephen,” explained Ludzik. As far as what makes Dhillon such an effective goaltender, there’s more to the picture than just his 6-foot-5, 203lbs frame. Ludzik believes Dhillon’s biggest attribute is what’s underneath the mask. His mental approach to the game is also something Williamson believes allows him to play so many games. Dhillon’s mental acuity has extended beyond the rink. A noted academic, Dhillon has always taken his schooling as seriously as he has his on-ice performance. Even though the dream of playing pro hockey is very much alive for Dhillon, he feels he’s set himself up with a solid back-up plan. As far as where Dhillon’s main focus is on what he’s working towards, it remains clear. There isn’t much left for Dhillon to prove. He’s got the size, he’s got the attitude and mindset, and he’s got the technical abilities. All that’s left is to show he can keep doing it over and over again. By no means is Dhillon’s story finished. But it’s already been a fascinating journey through four years in the OHL. A perpetual scratch to start, he’s become a fan-favourite in Niagara, and it’s hard to picture IceDogs hockey these days without Dhillon between the pipes. By the end of the season he should pass Mark Visentin to take the all-time lead in games played by an IceDogs goalie in franchise history, which stands at 166. For somebody who was scratched for over 60 games early on, that says a lot about patience and perseverance. Patience and perseverance are both great words to characterize Dhillon’s career path. Just like he had to wait a full year to get semi-regular playing time, he’s still waiting for his chance with an NHL organization. Much like Dhillon could’ve thrown in the towel after a fruitless rookie season, he could’ve done the same after being overlooked in the draft. But he hasn’t. Instead, Dhillon continues to put himself to work, and prove to everyone around him he’s worth a shot. Dhillon finds himself patiently waiting for his next big break. He’s had to wait longer than most, and the future is still uncertain. But for Dhillon, staying motivated hasn’t been an issue. His passion and love for hockey continue to make the game as fun as it’s ever been. “Even as a 16-year-old, I always had a smile on my face coming to the rink. It’s always fun to be able to play hockey and just be around the team. It’s always a great time whenever you’re around the game,” said Dhillon. Like every goalie, Dhillon wants to play in the NHL. If he ever gets there, he’ll probably want to play all 82 games too. But for now, Dhillon is just happy to wake up every day and be a hockey player. Drafted or undrafted, signed or unsigned, scratched or starting, Dhillon hasn’t let circumstance negatively affect the person he is under the mask, and he probably never will. Tags: Marty Williamson, NHL Draft, Niagara IceDogs, OHL, Ryan Ludzik, Stephen Dhillon. Bookmark the permalink.